Highway Lodging App will show you the available restaurants in next 20,30,40,60 minutes based on the driving direction and speed !!! Share your thoughts for improvements and add your valuable reviews ! 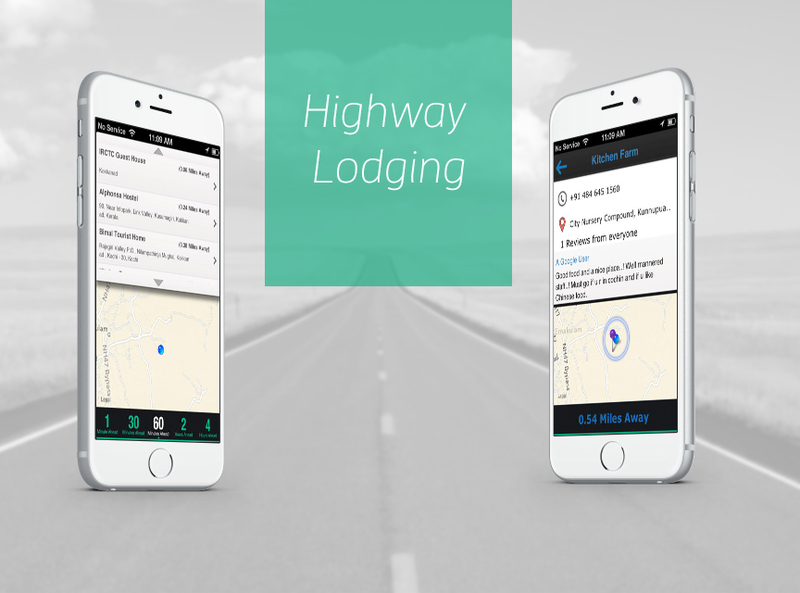 Finding a list of the closest Lodges while driving on the highway is now possible with the new Lodging app. This app helps users to find Lodges that are just a minute away or even 2-4 Hours away from their current location. The Lodging app lists out all the Lodges based on inputs like the speed and direction of travel. Friends and families who are on the move will find this user-friendly app extremely handy and convenient to use when they are looking for a place to stay which is a just minute away from their current location. For their convenience, the Lodging app also displays all the places to stay at that area also a little further away and users can view all this information with the touch of a button. This app includes features such as calling a Lodge directly from the app if the phone number is available and users can also get directions from their current location to a Lodge of their choice by accessing maps using the app. Reviews left by previous visitors to a particular specific Lodge are also displayed by the app. Additional features include a map with a compass that constantly updates the user’s location as they travel along the highway, so they get the most accurate information while searching for Lodge through real-time location updates.